Want to be an Optimum millionaire? 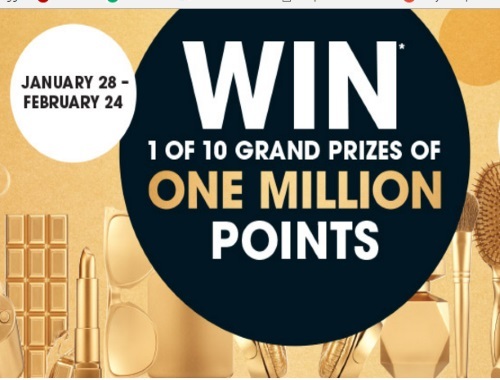 Shoppers Drug Mart's Millionaire contest is back! Enter to win 1 of 20 grand prizes of 1 Million points! Entry cards will be given out in-store until February 24, 2017 or while quantities last to Shoppers Optimum cardholders who purchase $5 or more of eligible products before taxes and any discounts. Limit 1 contest card per transaction. Contest is open January 28-February 27, 2017. To request a no-purchase PIN entry click here.